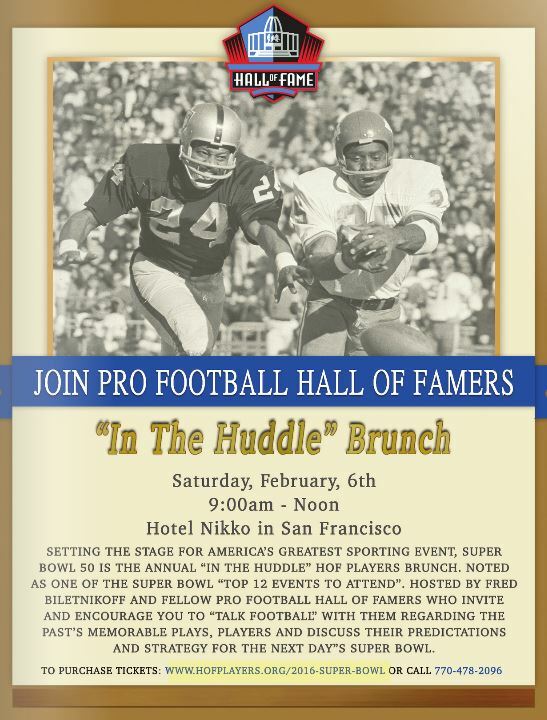 Setting the stage for America’s greatest sporting event, Super Bowl 50 is the annual “In The Huddle” HOF Players Brunch. 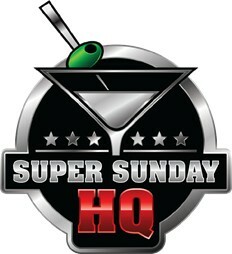 Noted as one of Super Bowl “top 12 events to attend”. 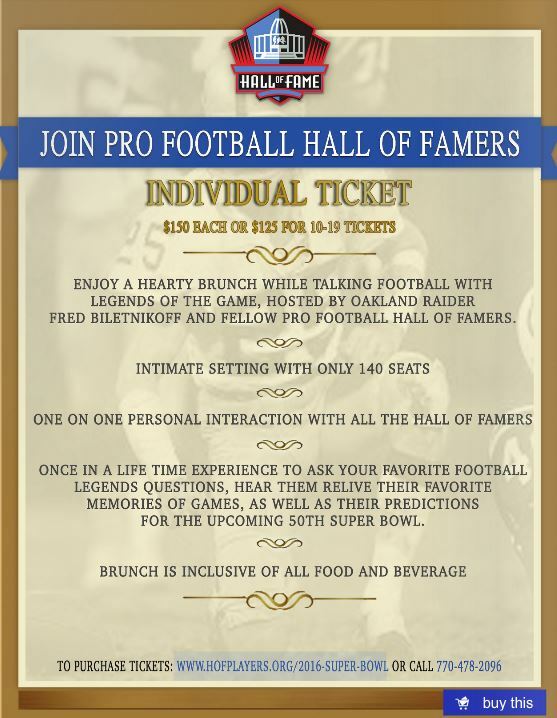 Hosted by Fred Biletnikoff and fellow Pro Football Hall of Famers who invites and encourages you to “Talk Football” with them regarding the past’s memorable plays, players, and discuss their predictions and strategy for the next day’s Super Bowl. BUY TICKETS HERE. The “In The Huddle” HOF Players allows an intimate number of guests to mingle with Pro Football Hall of Fame Legends prior to everyone enjoying the Nikko Hotels famous brunch. While sitting among guest the HOF Players will begin to tell of memories from the turf, sidelines and locker rooms, field questions and of course give their opinions on everything from the game then and now to how they see the upcoming Super Bowl unfolding. Ticket and sponsorship pricing. For more details or assistance you can contact Megan Holland.